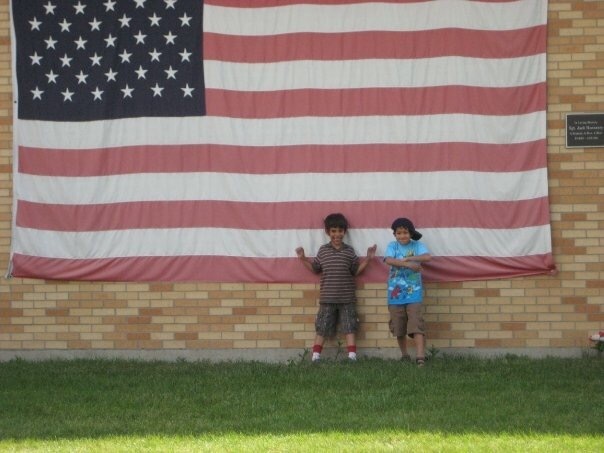 Mindful Monday: Happy Birthday, America | Breathe. Sweat. Smile. Flashback to One of my favorite Fourth of July memories! Good morning, Mindful Ones! And happy birthday, America! Sunmer is my absolutely favorite season, and we are smack dab in the middle of it! This week we celebrate America’s birth with BBQs, fireworks and trips to lakefront destinations. It is such a fun, active, exhilarating time! What’s so important for me this season is to make sure I’m still committed to my mat! I love the outdoors, and it’s easy to find something to do outside rather than going into a hot yoga studio! My practice provides me the opportunity to take a mental vacation for just an hour. It gives me time to balance myself out and check back in with how I’m really doing beneath the surface. As I practice mindfulness on my mat, I find myself more present off of my mat living my life! Each breath and each fun moment seems to expand and slow down rather than fly by too quickly. Physically, it’s great to sweat out toxins and allow my body to breathe. And it also keeps me in tiptop shape to enjoy being outside and being active. What are the reasons you keep coming to your mat during this time of year? If you are not a member, you get unlimited yoga for 40 days for only $129! If you are a member, you’ll receive a free workshop if you complete the challenge! Have a safe, happy Fourth of July! Remember you can still take class on the Fourth! We have a shortened schedule at each of our locations! See you on your mat!